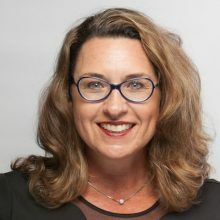 Terri Hanson Mead is the Managing Partner of Class Bravo Ventures and President of Solutions2Projects, LLC, a consulting company that provides IT strategy and IT compliance services in the life sciences space in addition to expert witness consulting services. She is an active angel investor, former Vice President of Sand Hill Angels, an EIR with Tech Futures Group, a podcaster (Piloting Your Life), a speaker, a blogger, and regularly advises early stage startups across all sectors. Terri invests in early stage digital health startups, specifically FemTech and PediaTech. In her spare time, Terri flies helicopters. She is passionate about supporting, and advocating for, under-represented founders and investors.